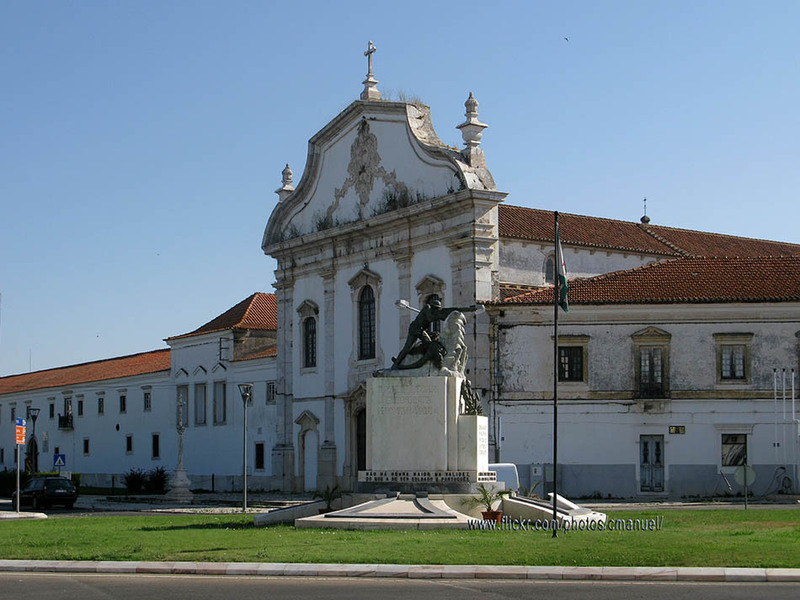 Do not miss visiting Estremoz, one of the famous “marble cities” of the region of Alentejo, Portugal. 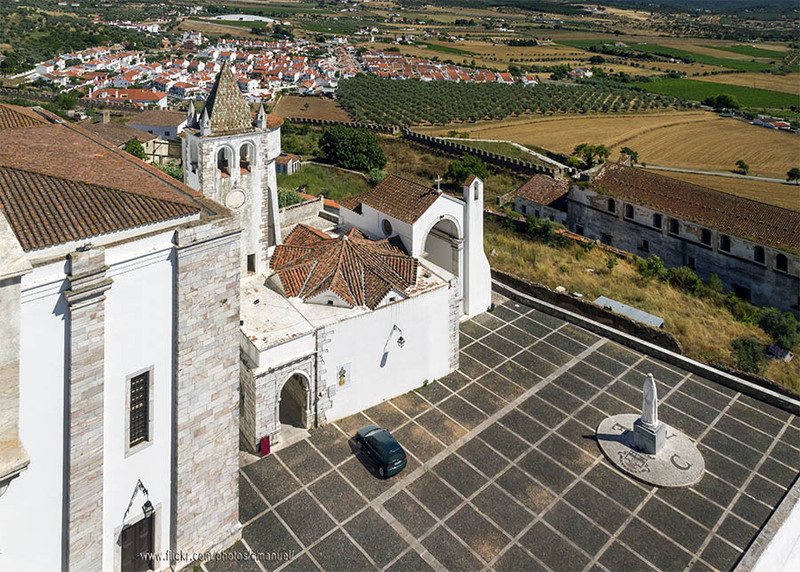 Extremoz is, besides Borba and Vila Viçosa, one of the famous marble cities of the region of Alentejo. In the area, there is so much good quality marble that it is used everywhere, even in as cobblestones. 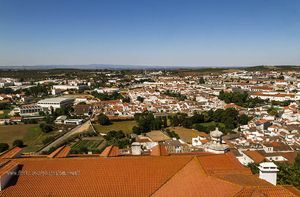 Estremoz is a simple city at the same time that it is an active mall that has numerous shops selling farming tools. It is also possible to buy handcrafts, ceramics and tasty foods in the market celebrated all Sundays in the main square. The city is surrounded by an old wall and dominated by the shape of its Medieval 13th c. castle. Inside, as in many other important pottery communities, it is cheered up by the colours of its ceramic, famous since the 16th c. and the streets and squares of its Medieval centre are ornamented by rows of orange trees . The main square is Rossio Marqueês de Pombal, popularly known as “O Rossio”. In the suburbs of the Rossio you will discover imposing churches, old convents and, up North, Monastic buildings turned into cavalry barracks. In front of them, close to the Largo General Graça, is located the Lago do Gadanha, built up in marble. Some of the most gorgeous streets are at the South of the Rossio. Some of the monuments found in this part of the city are the unfinished Congregados Convent (17th century), turned today into Câmara Municipal (City Hall) with an interesting marble staircase and an Religious Art Museum; the Capela do Santo Cristo Chapel, the São Francisco Convent, in Gothic style; the Praça do Pelourinho (pillory) and the Malterzas Convent, founded by the nuns of the Malta Order. 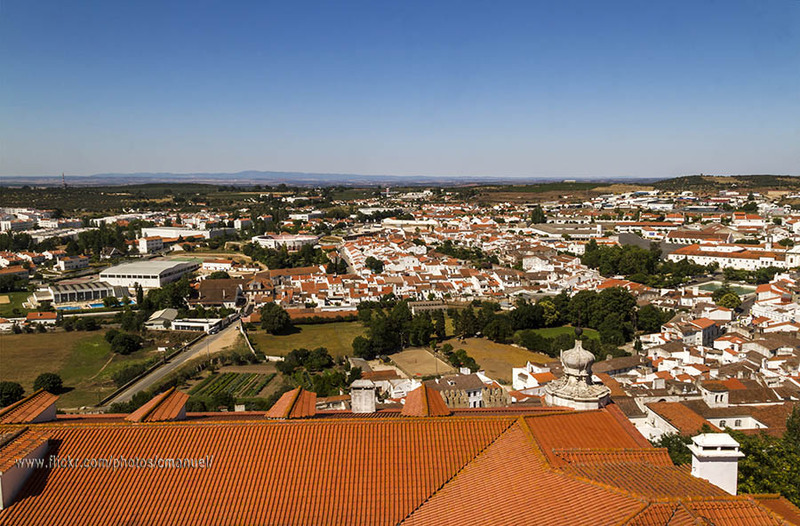 The part of the city known as Upper City of Estremoz is surrounded by spectacular winding walls that host a white palace inside. The easiest way here is to walk by the narrow Rua da Frandina from Praça Luís de Camões and to cross inside walls of the castle by the Arco da Frandina Arch. In the Upper City, it is worth visiting the Estremoz City Museum, with ceramics, handicrafts, marble and all kinds of collections of crosses ; the Palácio Real (Royal Palace) and the Torres das Três Coroas Towers, occupied today by the Pousada (Inn) de Rainha Santa Isabel and the Capela de Santa Isabel Chapel with the Igreja de Santa Maria Church (16th c.). 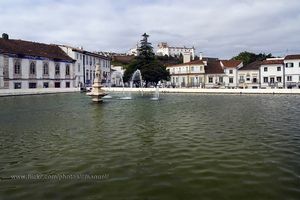 The main event of the city is Feira Internacional de Artesanato Agro-Pecuária de Estremoz (FIAPE) (Estremoz’s Agro-livestock Handicrafts International Fair), celebrated at the end of April. On it you will find a great quantity of ceramics, baskets, farming and vegetables. Another important spot is Cozinha dos Ganhões (Alentejan Cuisine Festival), an amusing cooking festival celebrated between the end of November and the beginning of December. 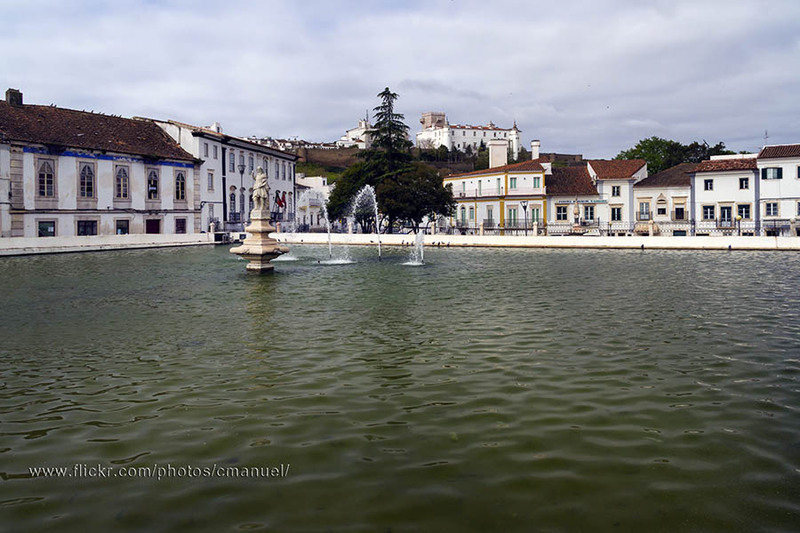 In the suburbs of Estremoz it is worth visiting Borba, the least visited of the marble cities in Alentejo; Vila Viçosa, the best of the marble cities with the Terreiro do Paço Yard and the Paço Ducal (Ducal Palace), the Marble Museum and the Castelo de Vila Viçosa Castle where there are set up the Archeology Museum and the Museu de Caça (Hunting Museum); and Evoramonte with its luxurious XVI century Castle.